For more information about these and other offices, go to www.embassyfreight.com. Commercial invoice: Clearance of goods requires an invoice in duplicate. Certificates of origin: Certificates of origin are not required unless specifically requested by the importer. A certificate of origin can be requested at the Chamber of Commerce. Packing lists: Packing lists should provide an accurate overview of the individual packages, including brand, numbers, gross and net weight and content. This must be written in Chinese or English. Single Administrative Document: The Single Administrative Document (SAD) is a standard form for, inter alia, declaring exports with the customs authorities. We can digitally submit the declaration on your behalf. Pro forma invoice: The pro forma invoice is required for the application of an automatic or non-automatic import licence. Import licence: If required, the importer applies for the import licence from the Ministry of Commerce (MOFCOM). Confirmation Certificate: Foreign companies operating in China must submit a Confirmation Certificate for Projects for Development by the State upon clearing customs if they are eligible for an exemption or reduction of import tariffs on goods for setting up their business, in accordance with contractual agreements with the government. PLEASE NOTE: The required documents may be subject to change. We recommend that you contact your representative prior to shipping in order to check the required documentation. Source: National Entrepreneurs Office (RvO). 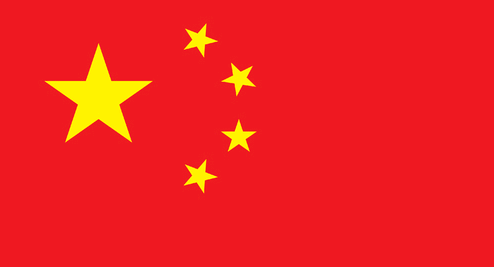 China, officially the People’s Republic of China, is a country in East Asia, the capital of which is Beijing. China exerts control over 22 provinces, 5 autonomous regions, 4 metropolitan provinces and 2 Special Administrative Regions. or take a look at our activities page on airfreight and contact us airimports@embassyfreight.co.uk or airexports@embassyfreight.co.uk.